I will lay me down and die. There’s plenty of official evidence of the date: two Inquisitions post mortem (legal examinations of the deceased’s property, required where the Crown sees a possible interest), entries of his burial in the Hackney parish records, his name removed from the record of nobles at Parliament that year, a (possible) tomb at Hackney, requests by Elizabeth Trentham that her son, Oxford’s heir, be instated in his father’s offices, all testifying to his death on that date, or close to it. On the other hand, if Oxford was the author of the Shakespeare canon, then he was not only a genius at writing plays, he was also a genius at hiding; faking his own death would fit right in as the crowning ploy in a lifetime of such maneuvers. He had friends in the highest possible places (like on the throne). What better place to hide than in official testimonies of one’s death? As a peer of the realm he was the kind of thousand pound gorilla who could get pretty much everything he needed, everything, that is, except what a writer needs most––privacy and time. Then at some point in 2004 I received an article submitted by Oxfordian scholar Christopher Paul in which, without taking a stand himself, he presents a whole range of anomalies surrounding Oxford’s death. While researching the documentary evidence it struck him that he was seeing nothing about it in contemporary letters. He began reading more widely, seeking some mention of Oxfords funeral or his death in as many letters as he could find. At this point I must direct you to Paul’s detailed account of his research. It’s simply too important, too detailed, and too interesting to capsulize: A Monument Without a Tomb: The Mystery of Oxford’s Death. Paul’s article aroused a furore of argument among Oxfordians who were appalled at the suggestion that Oxford might have faked his own death. I never cease to be amazed at how questioning even the most insignificant fact can arouse so much loyalty among those who have come to accept it, much, I suppose, as one might keep any not particularly valuable or attractive furnishing simply out of habit. What difference can it possibly make to anything or anyone whether Oxford died in 1604 or at some later date? If anything it helps the cause, since it gives him a few more years to write the plays that Stratfordians claim were written after his death. What probably bothers most critics is that the act seems so bizarre. Why would he do such a thing? As I’ve said before, there seems to be a general lack of understanding that if Oxford was Shakespeare, his primary motivation in life would always be, first and foremost, the pursuit of his art! To claim that Oxford ever wrote primarily for political or dynastic reasons is to forget that he was, first and foremost, an artist. Sure he was an earl and as such he had moments when it was important to him, but, if he was the true author of the Shakespeare canon, then his social status was far less important than it would have been to most peers. Certainly by the time he reached his full maturity, he would have cared more about perfecting his art than he would how many estates he owned, whether their rents were getting paid on time, which of his stewards were honest and which may be cheating him, whether or not the Oxford line would continue into the next millenium, or who would make the best king, issues of supreme importance to most of his fellow peers, and to their wives as well, his included. We might think we don’t know much about Shakespeare, but one thing we can all be certain of is that, whoever he was, he was one of the most totally committed artists that ever lived. Why? Because he gave us the greatest works of art, of course. Only a totally committed artist could have done what he did. And this, for me, is one of the main reasons why I knew right away that Oxford was probably Shakespeare. Of all the candidates, his story shows how, over and over, he chose Art over family, friends, money, and reputation (as Bacon did not, despite his great talent ; and as Marlowe also did, and look where it got him). Why would he pretend to die? For the same reasons that he spent thirty years pretending to be somebody else. Pretending to be dead was simply the final act in a lifetime of pretending to be someone else. His art drove him to Italy where he could learn something about theater. It drove him to break up with his wife and her family so he could have the privacy he needed to write. It drove him to borrow money and let his estates go for a song when his creditors pressed him too hard because he cared less about financial security than bringing his latest idea to life––cash in hand for the theater, the actors, the costumes and music, just as expensive then as they are today. Surely it was the most fundamental reason that he couldn’t get along with Elizabeth (despite her pretentions), fundamentally because he cared more about his art than he cared about her or her needs. Finally, and most important, it was why he hid his identity, for had it been widely known who was writing his plays he would have been forced to stop––or face a fate like Marlowe’s. It could certainly have driven him to pretend he was dead so he could get the privacy and the long unbroken hours of time that a writer needs to do his work. It’s terrifying to strive all your life to get to the point where you’ve finally reached your peak and then have to be afraid that death might catch up to you before you’ve had time to finish what you’ve started. But he couldn’t disappear without letting his constituency know what he was up to. Just as he had to find a standin whose name he could use to let them know who was doing the writing (“I will shake a spear”), he had to find a way to let them know that he wasn’t really dead, that the plays that he was writing, and rewriting, were his, and not the work of other writers. It was for this reason that he chose June 24th as his exit date. For anyone else we might accept the idea that this was simply a 365-to-one chance occurrence, a genuine coincidence. With Oxford there are just too many coincidences. So why could he be certain that dying on June 24th would send this signal? For one thing, from time immemorial, June 24th was the first day of the second half of the year, the mournful “dying” half. Like All Hallow’s Eve (Halloween), the night before All Saint’s Day, or Shrovetide (Carnival), the night before Lent, our ancient forbears were wont to have a big party the night before a period of solemnities, so the solstice celebration took place the evening before the 24th, on Midsummer’s Eve, the happy goodbye to the ebulliant rising half of the year. We see the summer solstice as taking place on June 21st or 22nd , but our forbears didn’t acknowledge it until the 24th. Without our sophisticated methods of determining the exact moment the Sun goes into Cancer, they may have thought it best to be on the safe side and make it a day when they could be certain; I don’t know; but for whatever reason, the old turning points were December 24th, Christmas Eve, and June 24th, Midsummer’s Eve. Throughout ancient and medieval times, the rising half, December to June––when the sun’s light and the earth’s vegetation are increasing––was filled with festivals, originally pagan, then Christian. For someone whose job it was to create entertainments, this was the busy half of the year; thus Midsummer’s Eve was not only the end of the rising half of the year, it was when the companies turned to entertaining the public in the open air theaters, others took to the road with what shows they already had, and the Court went on progress, where the entertainment was provided by the Queen’s hosts. To the educated handful familiar with classical works of Greek and Latin history and mythology, there was a great deal more to these seasonal celebrations than the ordinary English villager would have guessed. As Sir James Frazer relates in his mammoth work of mythography (available in selection today as Adonis, Attis, Osiris: Studies in the History of Oriental Religion), myths from the Stone Age reveal a rather grisly custom. Usually at midwinter, a ritual king would be chosen from among the youth of the tribe, treated royally for the six months of his short reign, then sacrificed in a harvest-like ritual, to be replaced for the next cycle by a fresh new sacrificial king. Similar practices throughout Europe and the Middle East fill the texts of ancient historians and ethnographers. According to Frazer: “Ritually murdered men not only gave their lives so that the seasonal cycle might continue uninterrupted, but were also assured of resurrection in the world of the gods” (vii). As time went by the unhappy “Adonis” was replaced by a hostage from another tribe, then a sacrificial animal, then an image like the wicker man. Vestigial remains could be found in Oxford’s time in traditions of the King of the May, the Prince of Purpool, the Boy Bishop, and other innocent reminders of this grim prehistoric ritual. Oxford could have known everything that Frazer knew about these early seasonal rituals and their descendants, not from Frazer of course, but from the same sources that Frazer quotes at length, from Strabo, Pausanias, Diodorus Siculus, Herodotus, Plutarch, Tacitus, Pindar, Nicander, Dioscorides, Eusibius, Homer, Virgil, Jeremiah, Pliny, Ovid, Firmicus Maternus, Stephanus Byzantius, and St. Clement of Alexandria, all copiously referenced in Frazer’s notes and all found in the 1566 library list of the man who tutored Oxford for eight years in his childhood, Sir Thomas Smith. Is it pure serendipity that at the moment of Oxford’s official exit from the world stage, he seems to be tipping his metaphorical hat to not one but two great traditions, the final party of the Festival year and the annual birthday celebration of the patron saint of the Templars and the Freemasons? That St. John the Baptist was of immense importance to both can be seen by even the most cursory look at their histories. No mere figurehead, the reasons for John’s importance, barred to outsiders, can only be guessed at by the authors of such pop histories as The Da Vinci Code and The Templar Revelation. That Oxford chose this day to disappear for good suggests that he was involved in this underground movement. My guess is that he was only one of many. The secrets of the ancient Wisdom Tradition, salvaged in the 14th century from the fallen Templars, were transmitted for centuries through an underground European network before surfacing in the 17th century as Freemasonry and Rosicrucianism. Back in the 11th century, the secret teaching had been absorbed by some of the more high-minded Norman and Norman-English Crusaders through their contacts with certain enlightened Sufis of the Arabian desert, whose forbears had absorbed it centuries earlier from the Greeks and even earlier from anonymous yogis, authors of the Hindu Vedanta. 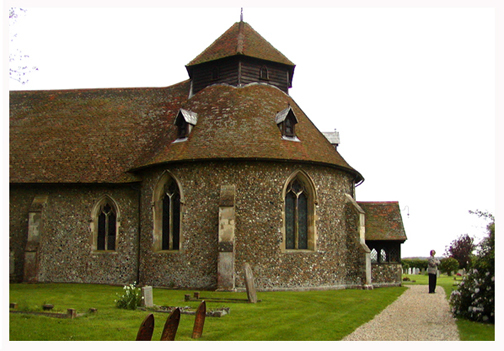 It may have been brought to England as early as 1118 when the co-founder and first Templar grandmaster, Hughes de Payens (no relation so far as I know), travelled to England, followed by the establishment of a Templar church in the parish of St. Andrews, Holborn. This does not mean that the higher levels of the wisdom teaching necessarily came with the Templars who established the London branch. Their worldly purposes had to do with banking and sending recruits to the Holy Land. Spreading the Wisdom Tradition was ancillary to the Templar’s worldly functions, but although its unlikely that most Templars knew anything of the higher spiritual principles that guided the more high-minded of their leaders, what little we know of their rituals suggest that these principles did set basic guidelines for the entire organization. Another entry point could have been from Islamic Spain, where the tradition remained intact until the late middle ages. Islam acknowledges John’s role as a prophet. Protecting these principles and rites from their political enemies, the Church and the State, was only part of the reason for their secrecy. It’s endemic within the Wisdom Tradition that an initiate can only be exposed to the higher levels of truth one careful step at a time, a process that would be disrupted were the details ever to be revealed. While their long tradition of secrecy means that today we can’t hope to have solid proof of things like whether or not certain British intellectual leaders in the 16th and 17th centuries, men like Oxford and Bacon, were initiates, both the Rosicrucians and the Freemasons have claimed Bacon as, not only an initiate, but a master, one whose future-oriented writings on science were both a cause and a result of his participation in these deeply secret organizations. That there was widespread interest in the Wisdom Tradition in Oxford’s time is evident from the hoopla surrounding the visit of Giordano Bruno in 1580, whose attempts to bring the tradition into the open got him burned at the stake by the Inquisition. While in England, Bruno was entertained by a number of court figures, Sidney, Raleigh, Henry Percy, Earl of Northumberland and his cohorts, scientists Thomas Hariot and Walter Hues. These get-togethers were later referred to as the “School of Night” by historians who took the tag from Love’s Labours Lost. In LLL Shakespeare lightly demonstrates how such a group might be formed, touching on the life of self-denial often associated with such studies. Shakespeare has Berowne question the need for this, claiming that he gets all the inspiration he needs from his lover’s eyes. Other plays also demonstrate awareness of the occult teachings of the time, as books by Frances Yates and others demonstrate. Although Oxford’s claim to membership in one of these organizations has been suggested, so far there has been nothing like what the Baconians have provided. It’s true that he lacks the kind of evidence found in Bacon’s science writings (New Atlantis, Novum Organum), but Oxford has other credentials, among them his education with Smith, which included the kind of studies that the Wisdom Tradition helped to perpetuate: chemical experiments, medicine, astrology, and architecture; his descent from one of the first Crusaders; and the fact that a round church of the kind preferred by the Templars, built in 1335, still exists in Essex within sight of Hedingham Castle, center of the Oxford domain. Built some years after the destruction of the Templars by a similar sect, the Hospitallers, , since most English Templars simply became Hospitallers, it can easily be regarded as a Templar church. As for Shakespeare, what to me sends the clearest signal of his involvement in one or both of these movements, or at least his interest in their principles, is the utter lack of signs of adherence to any of the religious dogmas of the day. From the beginning it was the policy of English Freemasonry that “religious and political arguments were banned from the Lodge. It was a place of brotherhood and tolerance of varying points of view” (Duchane 48). It was attitudes like this that drove the Church nuts and that got reckless proponents like Bruno a hot send-off to the afterlife. Frances Yates and others have gone to lengths to show to what extent these occult traditions inform Shakespeare’s works, yet, however respectful of the truths in these traditions, he seems to have had little respect for their rituals, whatever form they took. We’ve mentioned Berowne’s attitude. There’s also Jaques’s comments in As You Like It. There seems to be a general consensus that in 1603, As You Like It was performed before King James and the Court at Wilton. Mention has been made of a note that Mary Sidney, by then the Dowager Countess of Pembroke, sent to her son William Pembroke while he was with the King at Salisbury claiming that “we have the man Shakespeare with us.” Unfortunately, if this ever did exist it has since disappeared (or as David Roper suggests, the Pembroke family decided to remove from public view this bit of extremely controversial evidence of the part their family once played in the history of the London Stage. As Mary’s biographer assures us, “it fits the facts in every known detail” (Hannay 122). Although Hannay suggests that it was in December that As You Like It was performed, it’s more likely that it was during the August visit when the green trees and the rolling hills dotted with sheep provided the perfect pastoral setting. Another tradition holds that Twelfth Night was also performed for James and the Court during this period, which would make more sense as a winter holiday play. Gross fools as he, an if he will, come to me. I’ll rail against all the firstborn of Egypt. Everyone has their own interpretation of the Sonnets, but for me, the opening lines from Sonnet 125 refer to such a ceremony. Which proves more short than waste or ruining. When most impeach’t stands least in thy control. Most of the language in this sonnet suggests a religious ceremony of some sort. Oblation suggests the bread and wine of the Eucharist; seconds the weaker wine made by a second pressing of the grapes which was often mixed with the first to make the grapes go father. Direct from the heart, his oblation needs no external supports, the kind that can be tampered with, or weakened. Although the opening lines suggest a religious ceremony, they sound less like a Church ritual than some other kind of rite, most likely Masonic. “Laid great bases” is the sort of building imagery favored by Freemasons. Eternity, a word that isn’t heard much in Christian rhetoric where the focus is mostly on Judgment Day, is a favorite with the Masons, who were not so much concerned with personal salvation as with the need to establish a heavenly community on earth. We have no way of knowing what form such Masonic rites might have taken in the centuries before they surfaced as acknowledged organizations. In the British Isles alone it’s clear they varied rather widely from Scottish to York to English. But we can be certain that before the “Age of Reason,” when they were finally free to emerge into the light of day, they must have involved a good deal of experimentation. As for the canopy, there’s been much discussion of when it was that Oxford might have helped carry a canopy over the Queen. Canopies have been carried over sacred objects in rituals of all sorts for centuries; the Ark of the Covenant was carried under a canopy, so is the Torah whenever it’s moved from one place to another. This poem has nothing to do with the Queen. Whatever the truth about the ritual in Sonnet 125, it had to be something with which Southampton was familiar or the poet would not have used it as a metaphor. It may be worth noting that Southampton House in London, where young Henry was probably living during the period that Shakespeare was writing sonnets for and about him, was the original base built by the Templars when they first set up shop in London back in 1128. Southampton’s grandfather, the first Earl, had exchanged his own London residence for it back in 1548, a move that Martin Green suspects had something to do with the fact that the first Earl was a York Herald who would have known a great deal about the Templars, and who may have hoped that, as was often their habit, they had secreted valuables or papers somewhere on the property. In Sonnet 125––the second to the last for Southampton––Shakespeare demonstrates again that he has no particular respect for rituals. Despite their claims of sanctity, they “prove more short [on longevity] than waste or ruining,” the natural entropy to which all matter is subject. Finally there’s the play The Woman’s Prize that, as author George Swan has shown in his 2007 article in The Oxfordian, was most likely produced during the autumn of 1604. Though not (yet) an Oxfordian himself, Swan has brilliantly deciphered this 17th century take-off on Shakespeare’s Taming of the Shrew, showing how the author (supposedly John Fletcher) based his story on several of the more notorious events in Oxford’s history. Without suggesting that Oxford was the actual author of Shrew, Swan manages to prove that it was Oxford that the author was satirizing. Swan’s argument for placing the play in late 1604, based on current events, is convincing, the only problem being, that a satire that everyone at Court would immediately know was about Oxford would hardly have been produced within a few months, or even years, of his death. The only possible explanation is that, as everyone at Court either knew or suspected, he wasn’t really dead. So, was it just an amazing coincidence that Oxford died on June 24th? Or, desperate to get the time and privacy he needed to finish his great work, did he simply add one final scene to the disappearing act he’d been creating his entire life? Excellent discussion. I’m assuming it is by Stephanie Hughes. The section on the Freemasons is the best I’ve seen for tracing this secret society back through history. Oxford was both a Freemason and a Rosicrucian, whereas Shaksper of Stratford had no connection. The symbolism of death and rebirth is central to Freemason rituals and beliefs; it also plays a significant part in Shakespeare’s themes. Oxford at the 1581 jousting tournament assumed the role of “Knight of the Tree of the Sun” — which is associated with the 28th degree of Freemasonry. Frances Yates tells of many other traces in Shakespeare’s work. when we realize how speech and drama were suppressed under the Cecils, we can see how important it was to have lodges where one could speak freely and confidentially. At about this time, Freemasons began to accept “speculative” members as well as “operative” members, the former not having to be associated with building trades. The “brothers” in the lodges were considered equals, with no hierarchies of rank or wealth, and various religious views were tolerated. No wonder the intellectuals were attracted to these fraternities! Helen Heightsman Gordon, M.A., Ed. D.
It seems likely that the brilliant, unconventional rebel would be drawn to the Masons by the secret rituals that he also thought foolish–another example of the amazing dichotomy that was Oxford’s mammoth area of interests. Actually its more likely that Oxford was drawn to the Freemasons by their interest in progressive government, sacred architecture, etc., than any interest in their ceremonies. As he states in a letter to Robert Cecil, he “hated” ceremonies. What may have happened is that friends involved in the still developing Freemason movement pulled him into it in hopes that, as one capable of creating exciting performances, he might help create a meaningful ceremony, much as, later, Mozart created The Magic Flute in response to such a request. Edward [DE VEARE] Erle of Oxenford buried on July 6th 1604.
strangled into unconciousness by her mother-in-law’s servants. Gertrude knew the details of Ophelia’s death. And June 24 is the sonnet code of 6-2-4. St. John’s Day (JUne 24) is a sacred day to Freemasons, which also corresponds roughly to the summer solstice. Does anyone know whether the Freemasons were celebrating on June 24, 1604, and whether they may have helped him get away into a place of solitude to finish major works? Interesting question. You may have hit on something. The English Masons did not establish a public lodge until the 18th century, when a more secular world view prevented its members from being burnt at the stake as heretics, as they would have in the 16th century, but of course those who belonged to the underground lodge in 1604 would have held a ceremony on that date as masons have always done. Of course those who belonged to the underground lodge in Oxford’s time would have been eager to see him, and his work, protected, but only the monarch could grant him the right to live in the Forest. We can’t know whether the Pembrokes, or even the King, were Masons, but they may well have been, if those who created the Shakespeare memorial in Westminster Abbey in the 18th century are any indication. Yes, Stephanie, the Herbert brothers were both Masons. One of them reached a high level office in the order. I found a picture of him in his Masonic regalia. Have you noticed all the symbols from Rosicrucianism and Freemasonry in the “tower portrait” of Henry Wriothesley? It suggests to me that he was a Freemason-Rosicrucian and wanted the world to know it, although he had to use symbolism to convey that message in 1603. Good observation about the Shakespeare memorial in Westminster Abbey. Alexander Pope was one of the fund-raisers for that purpose and he was a Freemason. The engraved scroll, with the Bard’s finger pointing to the word “temple” and the crossed legs also have symbolic meanings.